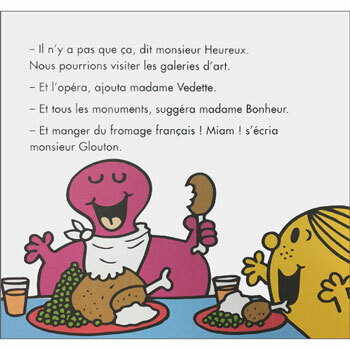 A Mr Men / Little Miss story in French. 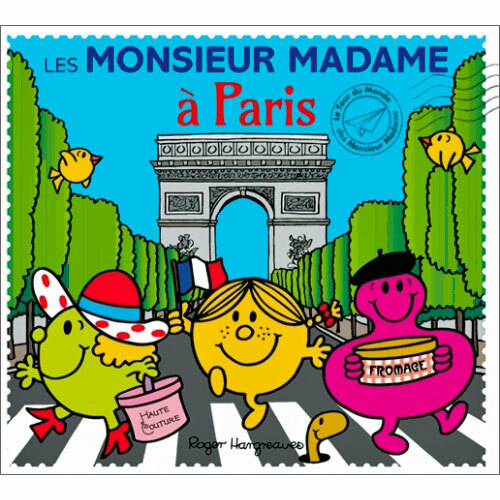 The Mr Men and Little Misses take a trip to Paris. They enjoy a spot of sightseeing and Mr Greedy has great fun doing what he does best.... eating all of the delicious French foods! Les Monsieur Madame à Paris is written entirely in French with no English translation or pronunciation guide as it is intended for native users. The language is fairly difficult and would best suit a parent / teacher / child with an advanced level of French. This book is aimed at native French speakers aged 4+, but would suit older learners.